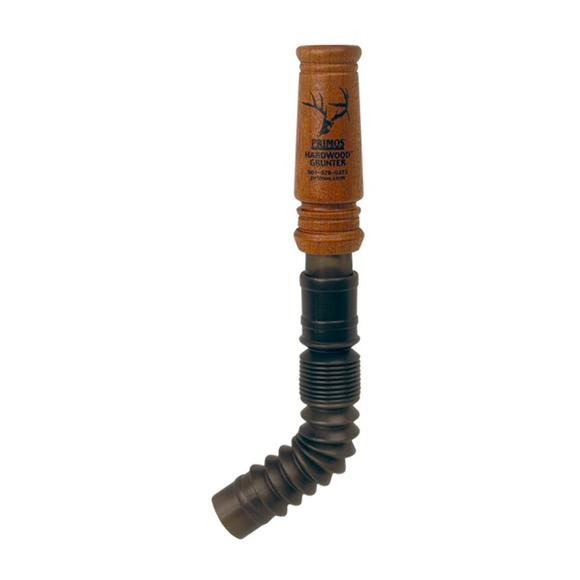 Primos introduced its first deer grunt call in 1984. Made from a select hardwood, this call was an instant winner. Now the quality and rich tones of old have been combined with a few twists of new technology. they have combined the durability, flexibility, and convenience of an extendible grunt tube with the rich tones of a high quality hardwood barrel to bring you the Hardwood® Grunter.